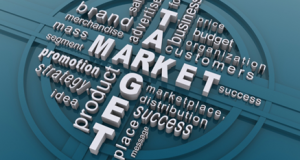 Continuity Programs can help you find customers through target market marketing. Targeting specific consumers will increase your business and market share. Mail lists acquisition based on market segmentation. Continuity Programs specializes in the design and fulfillment of your targeted marketing campaigns. Find the right consumers and deliver the most relevant offer to them. Your target market marketing campaigns can be set up for multiple, systematically scheduled touch points over a period of time, or we can do one-time, event-based marketing mailings. Generate leads with Target MailTM marketing from Continuity Programs. Leverage credit bureau data and create a marketing database. Continuity Programs helps you build your marketing database for target market marketing. Continuity Programs can access five dimensions of data available on more than 120 million households and 235 million individuals. The five dimensions include demographic, financial, lifestyle, market indicator and trigger. Target Mail marketing from Continuity Programs offers an almost limitless opportunity for specialization and targeting of direct marketing offers and messaging. Continuity Programs designs marketing campaigns to generate leads, get referrals, up sell and cross sell your products and services and acquire new customers. Call Continuity Programs today to increase the breadth and depth of your target marketing efforts. Continuity Programs can design a target market marketing campaign based on relevant information already in your customer database. Visit our Prospecting Tools page for more ways to expand your reach!